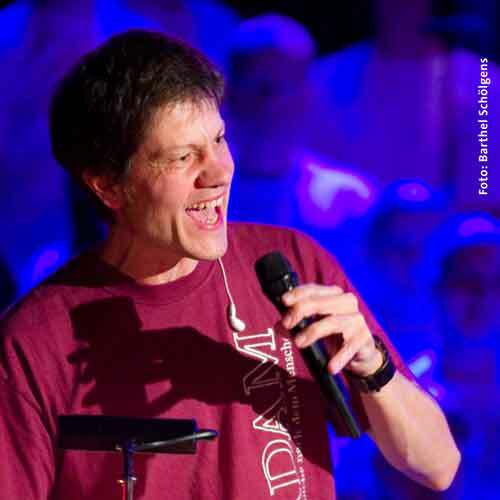 Gregor Linssen is more than just a musician within the church. He is a fool, who carries the believe in the unique GOD in three persons into a world which seems to accept only knowledge and ability. Each of his concerts is always a kind of prayer. At his side there are the musicians of his band AMI. They feel the same way: music can make church more lively. So they play music not only in their secular bands but also with Gregor Linssen.